PlayPearls Live Dealer Software Review, Games Offered & Best Casinos. PlayPearls is a Malta-based developer operational since 2013. The company was established by a group of experienced developers believing they could contribute with something new and different. They started off by creating White Label games and video slots featuring creative themes, realistic graphics, smooth animations and subtle sound effects. Later on the provider’s portfolio grew to also include instant win, Keno and table games, and finally live dealer games streamed from actual land-based gambling establishments. PlayPearls operate with a license issued in Curacao. PlayPearls broadcast their live games from Portomaso and Oracle casinos located in Malta, and Ireland-based Expo and Fitzwilliam casinos. Live Roulette plays out of multiple locations, but though the game itself may be same, ambiance varies from one location to another. Bland white tables at Portomaso Casino, combined with outdated design of the casino floor, don’t look all that inviting. Camera views change according to the stage the game is in, and easy to navigate interface allows for simple placement of bets and quick access to available options and functions. PlayPearls are one of a few developers that make their live games playable for fun as well as with real cash. Live Portomaso Roulette, broadcasted from a casino of the same name, is your standard European game with a single zero. Video feed occupies the bigger part of the screen, with changing camera views offering a good look of the table and zooming in on the wheel once the spinning action starts. Players can try their luck by using a digital image of the betting table positioned below, or take advantage of a Racetrack to place Call Bets such as Red Snake, Black Snake and Autopick 5. You’ll find results of the last 10 rounds on the left-hand side, and Red/Black, Even/Odd and High/Low statistics on the right. A set of icons lets you choose the language, manipulate audio, review payouts and check game rules. Live Chat is accessible even when playing for fun. Oracle Casino Roulette offers pretty much the same package, the only difference being the environment (which, by the way, is far more attractive). If you’d like to join a Live Roulette game played in Fitzwilliam Casino, be advised that it operates only during the limited hours of 19:00 to 7:00 CET. Live Expo Roulette is an automatic multi-player game streamed from Dublin’s Expo Casino. You’ll see the wheel surrounded by 8 touchpad devices which real players use to place their bets. You can do the same with the help of a computer-generated betting table and a Racetrack placed at the lower half of the screen. Sadly, we haven’t managed to find a single casino offering PlayPearls Live Blackjack. Live Baccarat Super 6 is broadcasted from the Fitzwilliam Casino. On top of standard betting options, Banker / Player /Tie, it also features Banker and Player Pair side bets. Video feed occupies a small window on top, zooming in and out to offer a wider view of the table or a close-up of cards dealt. Green meter just below shows you how long you’ve got to place your bets. Since regular-sized cards are used, their visibility is not always ideal; luckily, respective digital images appear on the computer-generated table and scores of each of the hands are readily calculated. To the left of the video you’ll find statistics presented via a roadmap as well as an overview of regular and side bet results. Leo Vegas does not actually provide PlayPearls games, but we could not find a casino site that does… Though Portomaso Gaming Roulette is one of the games they had in their portfolio and that is in fact available at Leo Vegas Live Casino. 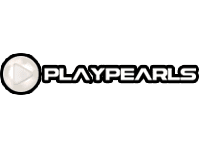 It looks like PlayPearls is more of a software company and when it comes to live dealer solutions, they just provide the user interface for the games. The provider uses HTML5 so their games will also work on iOS, Android and Windows mobile devices. One can play in both landscape and portrait mode, though the visibility of video is far better when holding your device in a horizontal position. Live Mobile Portomaso Roulette very conveniently switches between full-screen visual of the physical table to that of the computer-generated one when it’s time to place bets. Icons has been rearranged to facilitate navigating on a smaller screen, but other than that, you’ll get a very similar experience to that of playing on a desktop. Dealers and croupiers seen in PlayPearls live games are obviously experienced professionals and there’s no mistaking them for models trained to deal cards and spin the wheel. However, they don’t seem to be all that talkative and are not doing much to engage players – not even those actually seated at their table. That’s particularly true for ladies and gentlemen employed at Portomaso casino. PlayPearls might be creative with their slots, but there’s nothing to make them stand out when it comes to live dealer games. Their range being limited as is, you’ll struggle to find an online casino offering any other games apart from the aforementioned Roulette variations. Quality of video and audio stream is about average, ambiance kind of dull, and dealers not doing much to help. Feel free to test PlayPearls live games yourself, but there’s no doubt there are plenty other, much better options out there.